Federal regulators are probing eBay's Bill Me Later for potential consumer abuses associated with its money-lending practices, the company disclosed in a regulatory filing. 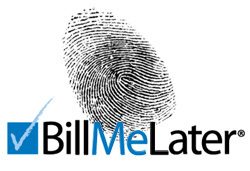 Bill Me Later, which eBay absorbed in 2008 through a PayPal acquisition, has previously come under fire for charging deferred interest and is fighting a lawsuit in Utah, where its current and former issuing banks are chartered. Now, the Consumer Financial Protection Bureau (CFPB) has asked eBay to "provide testimony and produce documents relating to the acquisition, management, and operation of the Bill Me Later business, including its products and services, advertising, loan origination, customer acquisition, servicing, debt collection and complaints handling practices," the company said in a filing with the Securities and Exchange Commission. eBay spokesperson Amanda Miller acknowledged that the CFPB, a creation of the Dodd-Frank Wall Street reform act, had served administrative subpoenas on eBay, PayPal and Bill Me Later, relating specifically to the deferred payments service. "The companies take consumer protection very seriously, and are cooperating with the CFPB's investigation," Miller said in an emailed statement. eBay said that it received the CFPB's so-called civil investigative demands on Aug. 7. Analysts with Susquehanna International Group noted that under the CFPB's procedures, eBay had to meet with the bureau within 10 days of receiving the subpoenas, and had to determine within 20 days whether to comply with the request in full or ask regulators to modify it. "Although we do not know details of the investigation, eBay has likely been in talks with the CFPB to suggest alternatives to limit the costs and comply with CFPB's wishes," the analysts said in a research note, though they pointed out that the bureau has rejected each of the three petitions that it has received and made public in its short history. Though the substance of the bureau's inquiry remains unclear, Bill Me Later has come under fire from consumer advocates who have criticized the practice of offering shoppers a temporary window with no monthly payment obligations, and then charging retroactive interest if the balance is not paid in full during that grace period. The National Consumer Law Center, for instance, has argued to the CFPB that deferred interest cards - a category that the group defines to include Bill Me Later - should be banned, calling that model of financing "inherently unfair, deceptive and abusive." Separately, eBay, PayPal and Bill Me Later are fighting a lawsuit in which the plaintiffs alleged that Bill Me Later operates as a money lender, and, in that capacity, violates California's usury law and other statutes. WebBank, Bill Me Later's former issuer, joined the case as an intervenor in September 2011, and the case was transferred to Utah the following month. eBay and WebBank filed a motion to dismiss the case in March 2012, and a hearing on the still-pending case was held in September of that year. "We believe that plaintiffs' allegations are without merit and intend to defend ourselves vigorously," eBay said in its filing with the SEC. "However, this area of law is uncertain and if the lawsuit is successful, Bill Me Later may be required to change its methods of operations, pay very substantial damages and reduce some of its charges and fees, which would adversely affect our business."